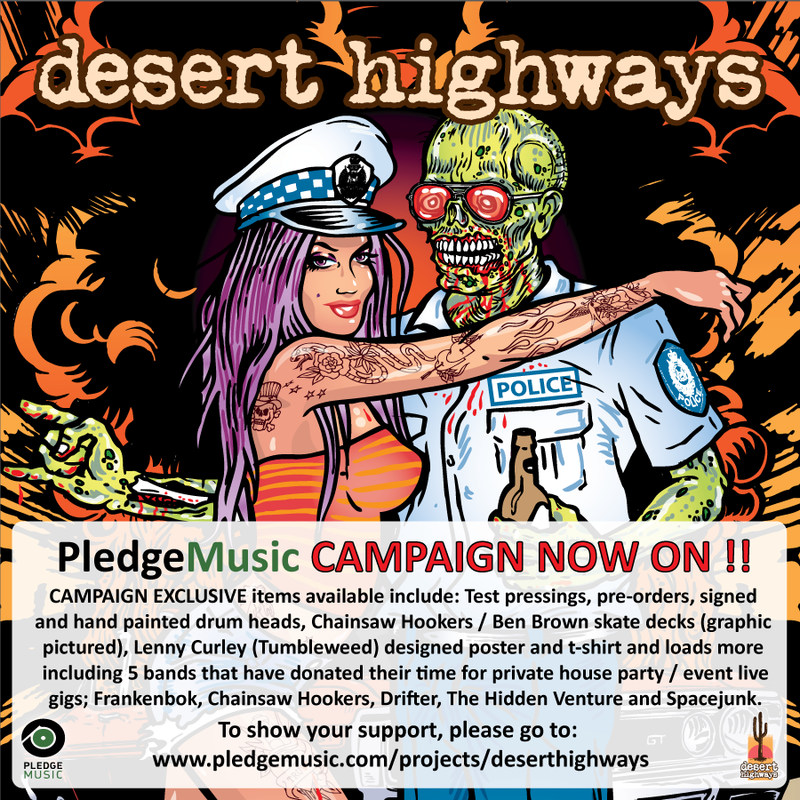 Desert Highways has partnered with PledgeMusic to launch their very own campaign! 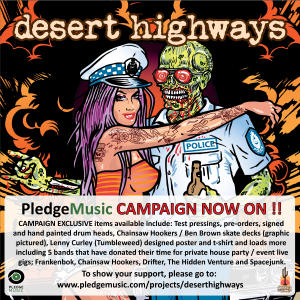 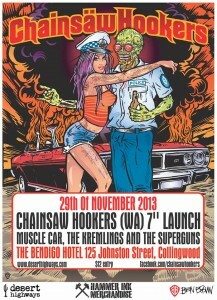 They need your support to help us kickstart their next few releases and have test pressings, pre-orders, signed and hand painted drum heads, Chainsaw Hookers / Ben Brown skate decks (pictured), Lenny Curley (Tumbleweed) designed poster and t-shirt and loads more including 5 bands that have donated their time for private house party / event live gigs; FRANKENBOK, Chainsaw Hookers, Drifter, The Hidden Venture and Spacejunk. 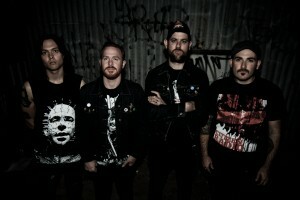 Dave G sat down and spoke to Alex from Chainsaw Hookers about all things horror film related and about their new 7″ single which will be available at the Desert Highways’ label launch (details below).